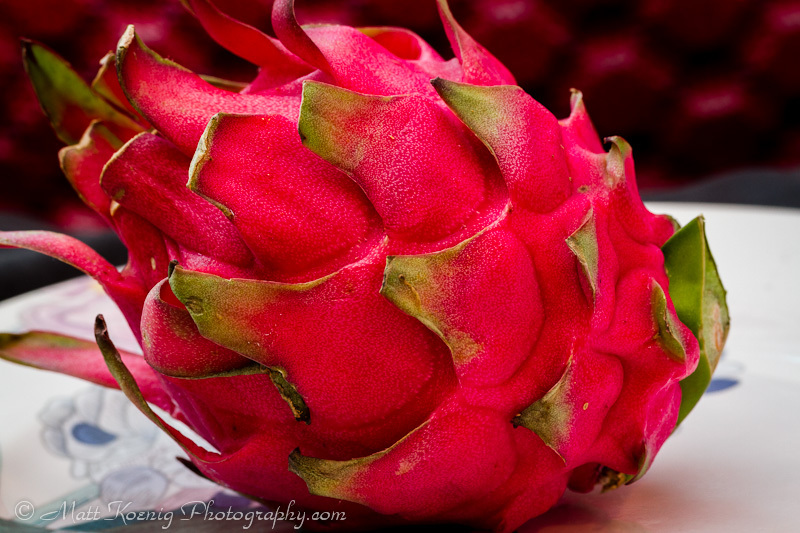 The outer appearance of the dragon fruit is scaly or petal like. 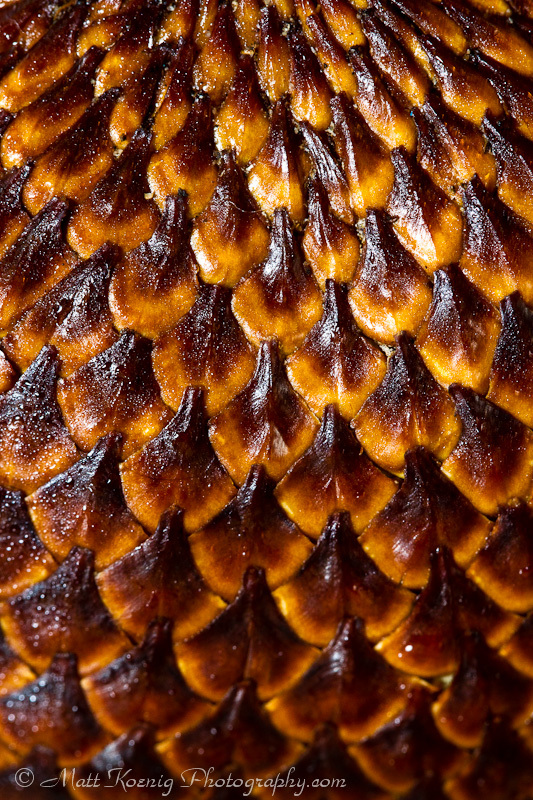 The snake fruit is appropriately named as it has a scaly outer skin that resembles a snake. 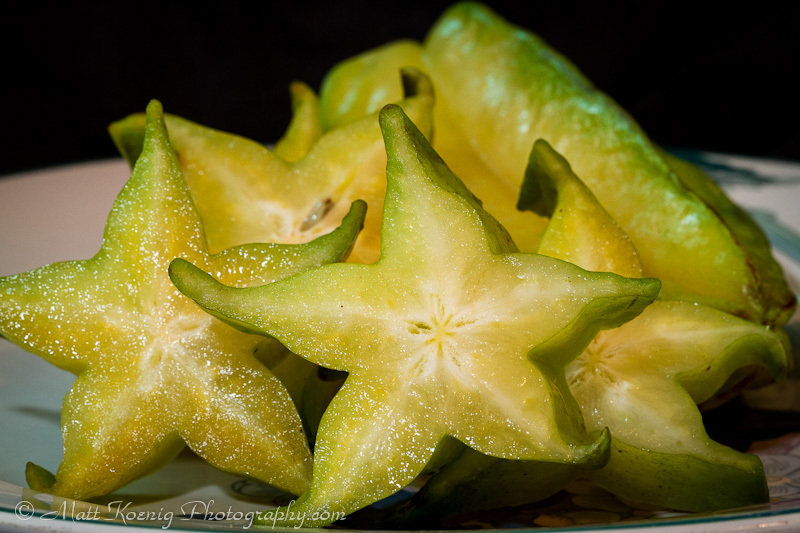 When cut the star fruit looks like a star. 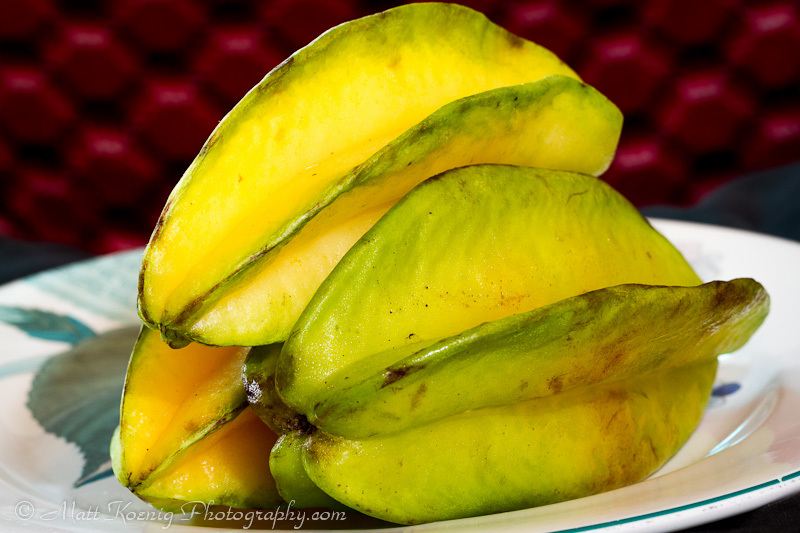 Star fruit are juicy and sweet with a slight acidity. 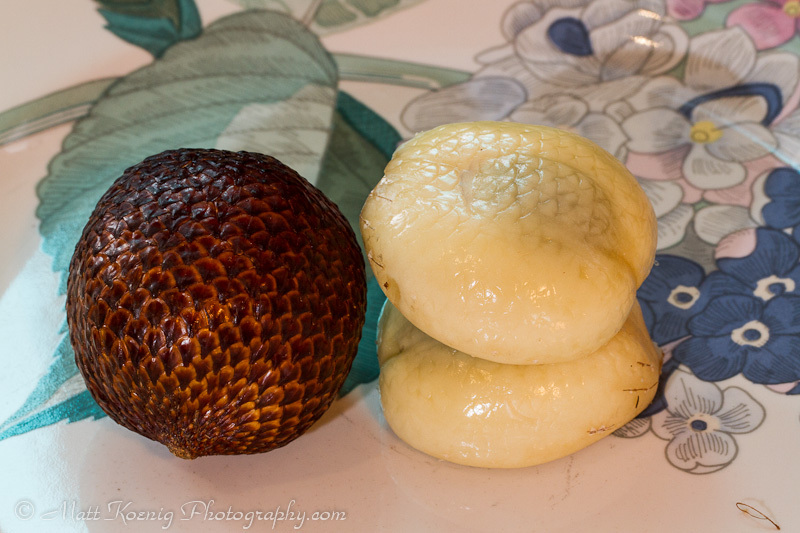 Every part of the fruit is edible including the seeds. 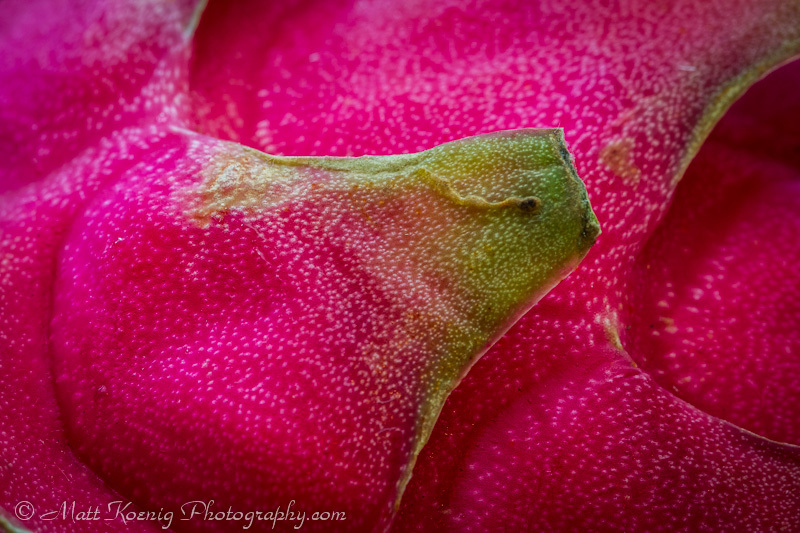 Love the detailing in the dragonfruit. Sadly I think it is prettier than it is tasty. 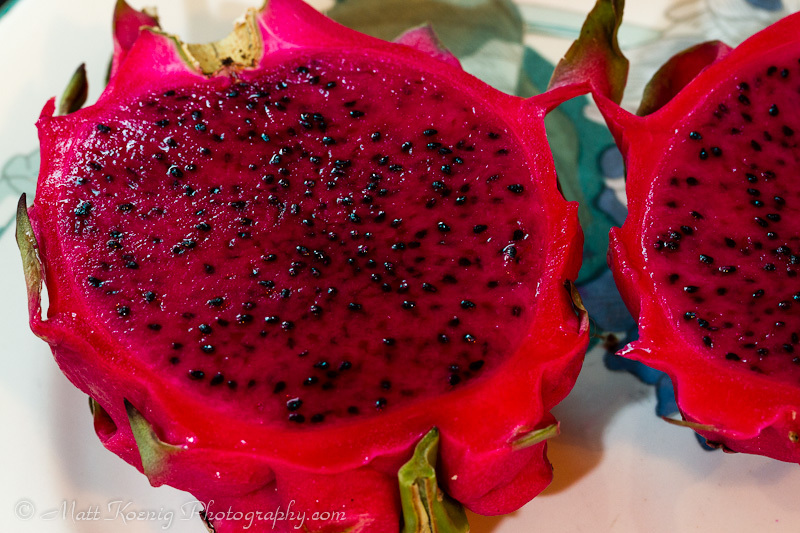 Dragonfruit are interesting. I had not heard of them before and then I was surprised to learn they grown on a cactus. I liked them but can see how the taste might not be enjoyed by everyone. 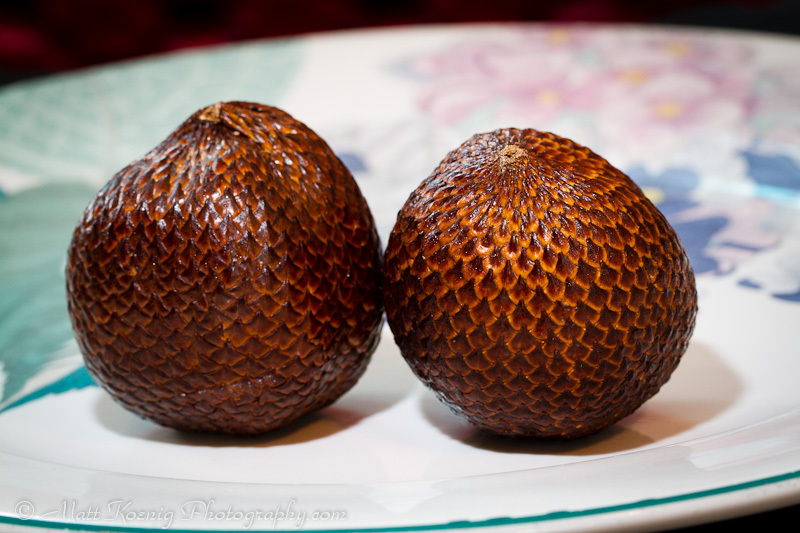 The texture is a lot like kiwi. 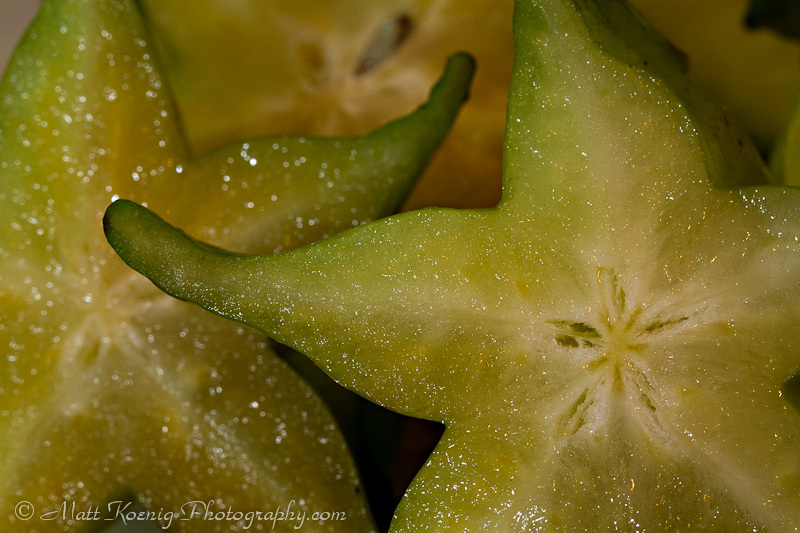 Here we always get the ones with the red centers as they taste better.